re-making it due to the specific size needed for middle rings to spin. Contact for ring sizer if unsure of ring size. 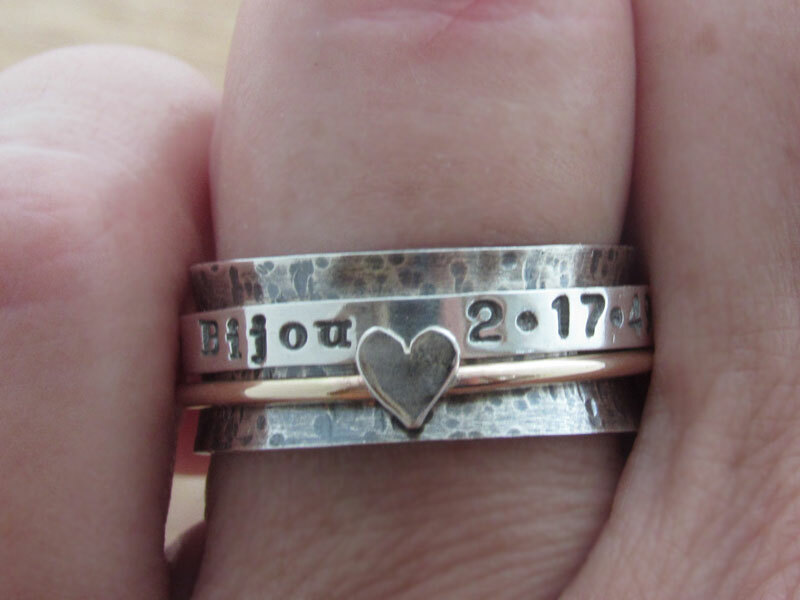 I love wearing my personalized spinner ring and you will too. Two middle rings spin around main band. 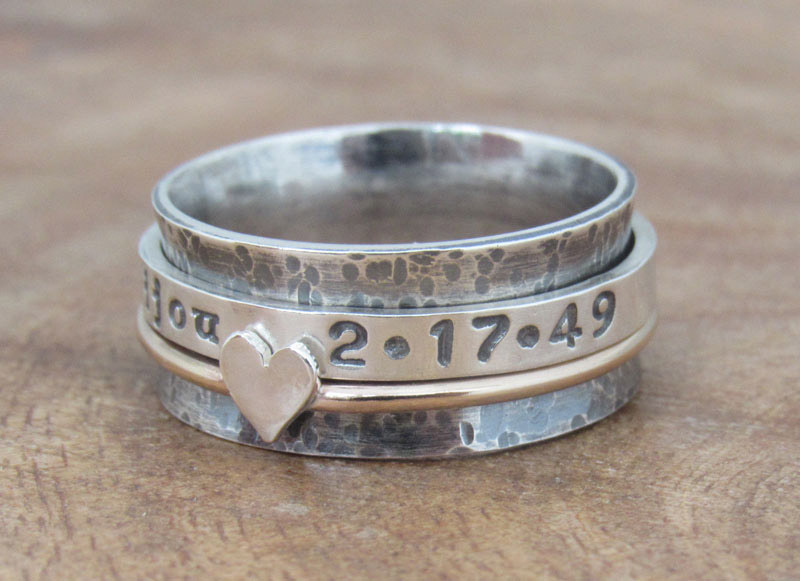 I make each ring so any size from 5-11 and half sizes are welcomed. 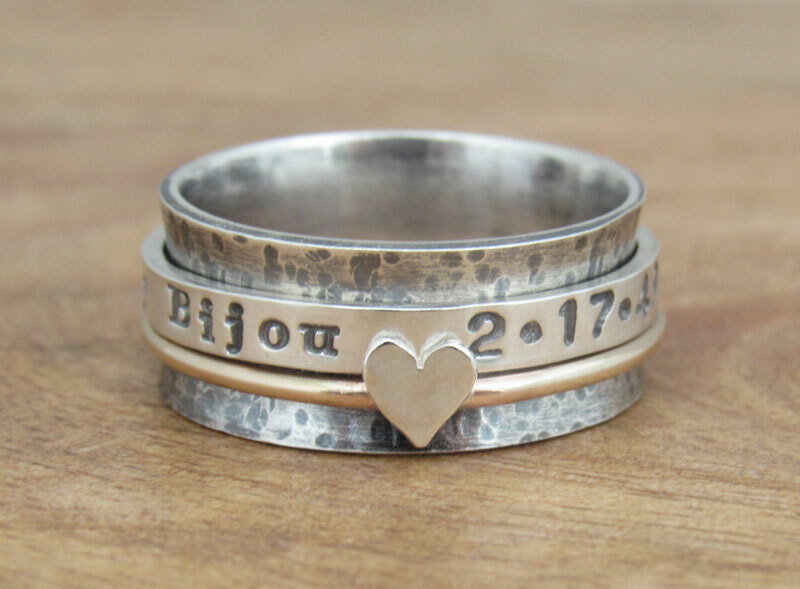 Main Ring is 3/8th of an inch wide and includes a sterling silver heart with gold filled band ring and a special personalized ring in lowercase. plus sign, dash, and cross. Size will determine the amount of lettering that will fit. 28 characters for size 5 and for each size up add 2 more characters.